Just wanted to drop in and remind everyone that this is the time of year for giving, but giving does not just stop at the holiday season. People all over the world, every day are in need, and as a GlowHost customer, a portion of the money you spend with us makes it’s way to those very people. I strongly believe that education, even a basic one, can curb some of the most important problems facing the world today. If you teach someone how to make their own food, isn’t it better than sending them food for the day? If you teach them that being oppressed should not be a normal part of life, and give them a voice by showing them how computers can work to do all sorts of amazing things like quash oppressive regimes, further one’s own education, create jobs and companies, shouldn’t we do it? You can’t learn without school supplies or books, and as a GlowHost customer, you’ve brought all of these things to people in need. This year you helped us to donate products and services necessary to solve these difficult problems. 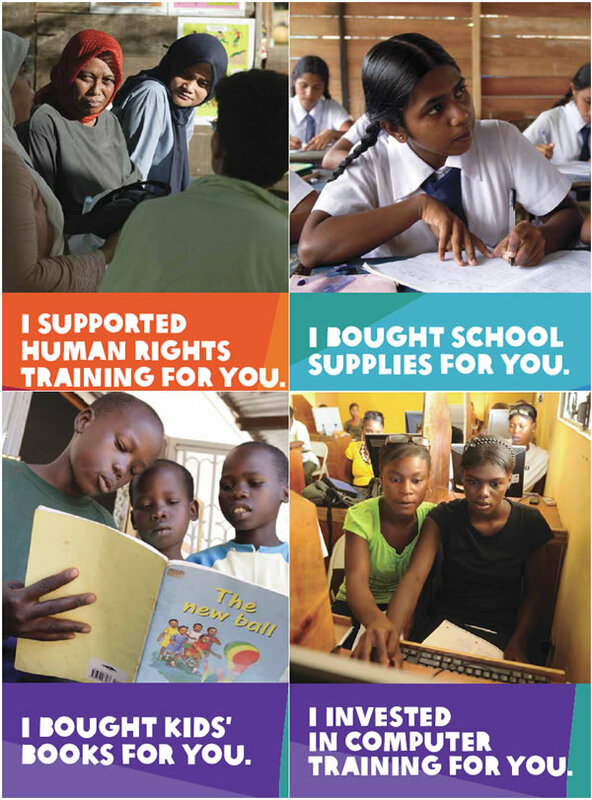 Most of these products and services are offered by Oxfam America Unwrapped, an international collaboration of 17 different organizations working in approximately 90 countries worldwide. You’ve also helped us contribute to Scholarship America’s “Dollars for Scholars” program. Dollars for Scholars is able to help make postsecondary education possible to those who may not otherwise have received it, So go on, pat yourself on the back…your hosting dollars made a difference in the lives of many people this year! As a GlowHost customer, you can proudly say…. PS if you know of a new charity in need of hosting, please see this blog post. This entry was posted in Glow Goodness, GlowHost News on December 24, 2013 by Matt Lundstrom.